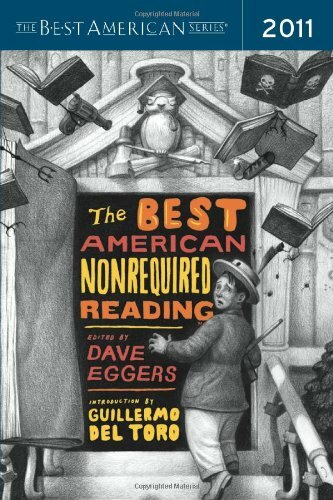 Short Stories: The Best (And Least) of THE BEST AMERICAN NONREQUIRED READING 2011. Every year The Best American Series publishes a group of books anthologizing short fiction in every form of genre. While delving into the year’s best short fiction or short mysteries is always a treat, The Best American Nonrequired Reading always provides the most interesting gems of writing from the year. Below I chronicle some the best of the best (and the least of the best) of 2011’s nonrequired reading. • The “Best American Profile of an International Pop Star” was Gary Shteyngart’s GQ profile of M.I.A. The 7,000-word article gives intriguing insight into her personal life while also giving the reader context for her music. While you may not have thought about her much recently (except for that weekend when “Paper Planes” was playing everywhere), this piece will have you trying to get your hands on any of her albums. • That isn’t the only profile that paints a fascinating portrait of a real person. Chris Jones’ Esquire piece “Roger Ebert: The Essential Man” tells the melancholy story of Ebert’s last years alive. His impact on film criticism is undeniable, and Jones gives us a glimpse of how Ebert approached it while also depicting his heartbreaking battle with cancer. • Clare Beams’ “We Show What We Have Learned” (from Hayden’s Ferry Review) takes a simple story about an elementary teacher and her students and turns it on its head. To say more would ruin the surprise, but it’s a story that uses its language in a playful way. • A story that is equally playful but far more insufferable is Neil Gaiman’s “Orange” (taken from Southwest Airlines Spirit Magazine). The story is taken from a “Confidential Police File” and only contains the written responses of the subject’s response to the investigator’s questionnaire (leaving you to guess what the question was in the first place). It’s a story steeped in magic realism, and will undoubtedly please any fan of Gaiman. However, this story (my third time reading something written by him) officially made me give up on ever liking him as a writer. • “Solitude and Leadership” is taken from The American Scholar and is a speech originally delivered by William Deresiewicz to a plebe class at West Point. It’s a speech that will connect with anyone going through a job transition or feeling frustrated with promotions at work, among other situations, as Deresiewicz lays out what kind of people become leaders. • Joyce Carol Oates’ “A Hole in the Head” (from The Kenyon Review) is a meandering thriller about cosmetic surgery. It’s notable not only for its author but also because it’s a captivating story. Yet, when it was over, I couldn’t help but feel disappointed. There were so many directions the story could have gone that I felt cheated when it didn’t address them. But then again, maybe that’s what really good short fiction is all about? • Another story that could have gone in many fascinating directions but didn’t is “Pleiades” by Anjali Sachdeva (from Gulf Coast). It briefly chronicles the life of a girl who was born as a septuplet as an experiment by geneticist parents. There could instantly be a TV show born out of that idea (and might resemble Orphan Black) but Sachdeva merely hones in on just a few moments while telling this bittersweet tale. There are, of course, far more short pieces of fiction and nonfiction alike dispersed throughout this book (as well as a list of notable pieces that didn’t quite make the cut, leading to infinitely more reading). I encourage you to pick up the book and explore it for yourself. You never know what story might inspire you. 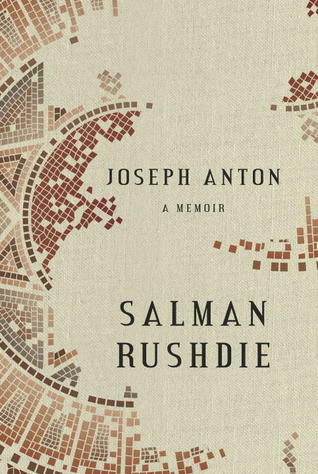 In Salman Rushdie’s new memoir, Joseph Anton, he describes (in minute detail) his life during the fatwa against him. The fatwa was issued in response to his controversial novel The Satanic Verses. Interpreting his purely fictitious novel as an affront on Islam, Ayatollah Khomeini called for his murder. Forced to live under the protection of the British police, Rushdie renamed himself Joseph Anton (after writers Conrad and Chekhov). This autobiographical account of his life (focused on the decade-long fatwa from 1988 to 1998) is both a testament to his survival from religious fanaticism and his fight for freedom of speech (not just for himself but for others in similar positions as his). This is a very detailed and in-depth memoir that at times feels too bogged down in the minute details of travels while in hiding or the excessive amounts of name dropping he uses—the latter proves to be both exciting and tiresome in its execution. But for all that, we do get fascinating insight into his life, both personal and professional, and learn a lot about his writing processes as well. Rushdie acts as an almost impersonal historian, writing the novel in the third-person perspective. He refers to himself simply as “he,” only referencing his name when it concerns the name’s origins (or a play on their origins). This, combined with his astute writing style, gives the memoir a more literary feel as opposed to a tell-all memoir that other celebrities are penning these days. However, you must wonder how reliable an author he is, when he openly admits to altered remembrances of certain events. But the same is true of any autobiographical text. Clocking in at 600-odd pages, this book loses much energy in the middle third. At times, surviving the fatwa feels almost as tiresome as reading about it. But Rushdie sprinkles enough interesting anecdotes throughout that you can find enjoyable moments even in the more tedious chapters. Of course, what was most fascinating to me was seeing how his personal life attributed to what he writes in his novels (how an interaction with a certain person would lead to the creation of a character in his novel). If you are unfamiliar with Rushdie as an author, then Joseph Anton may not be the best jumping-off point, although it does provide the perfect framework for his writing. 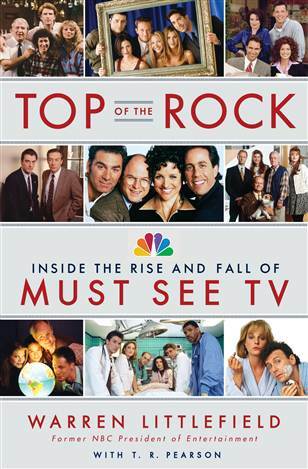 In Top of the Rock former NBC President of Entertainment Warren Littlefield discusses “the rise and fall of Must See TV.” If you’re a fan of Cheers, Frasier, Seinfeld, Friends, ER, 3rd Rock from the Sun or Will & Grace then you are in for a real treat. The book is told through snippets of interview conversations with actors, producer, directors, and executives who were involved with the creative processes on these Must See TV shows. The main focus is on Warren’s involvement with making the pilots for these shows and pushing for them to air on NBC. It’s fascinating to see how everything fell together in such precarious ways to form such hit TV shows. There are great anecdotes throughout the book, and it gives a great glimpse into the executive world of television. (Fans of 30 Rock will see some familiar characters pop up.) Although, as they point out, much of the industry has changed since then, there is still a lot of information to be gleaned. They also add their own critique of what the industry has become since the Must See TV era. Warren isn’t afraid to talk about what happened to NBC after he left and how they went from being on top to falling back down again. Any fan of television would greatly enjoy this book.